Difference between revisions of "Supported Games"
** Members may only earn CEs for all encounters played or full clears completed. That means that each member is allowed to earn rewards from individual raid encounters, or from completing a full raid. Select the correct modifier in the gaming submission portal when submitting. ** Raids do not have be fully cleared to count for CEs. A partial clear will earn CEs, however you may not submit a full clear for a raid if you don not play all encounters in that raid. If you change groups mid way, you may not submit the team for a full raid. ** For the two Leviathan Raid Lairs (Eater of Worlds and Spire of Stars), a full clear consists of three encounters. Do not submit "Full Clear" for those two encounters. * Clan Information: Dark Jedi Brotherhood [DJB], may request to join through [https://www.bungie.net/en/ClanV2/Index?groupId=169728 Bungie Clan Webpage]. This page is part of the Rites of Combat. To review the Rites, click the below link. When submitting screenshots, members must ensure they clearly show all members who participated in the event, and any other game specific data. Any screenshots that appear edited, cropped, or cause the Fist staff to question their authenticity will be rejected. Before the match starts, decide upon whether or not you will be playing space or ground battles, or a combination of the two. Before the match begins, participants should decide on whether or not Heroes will be playable. 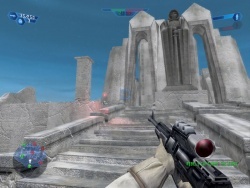 Before the match begins, participants should decide on which gameplay mode they wish to play: default will be Conquest for Land, and Assault for Space. Before the match, participants should decide on whether it will be Galactic Civil War or Clone Wars. Do not change the settings to be below the normal standards for reinforcements of 150. Anything below 150 will be not be considered an acceptable game. Playing through a single map constitutes one match played. The Host determines the map choices, but can and should take requests from their opponent. If requested, match hosting can be split between participants, each hosting a single match and the third being decided by coin flip (or other means of randomization). Battlefront includes options for playing Member vs Member PVP, Members vs Others PVP, and Members vs Environment PVE. This section will be broken down to detail rules for each type. Note: with the exception of PvP, you must register at least one kill to qualify for clusters. This is the main way to prove you actually played. Battlefront Game Mode "Battles" is used. The winner of each Match is the first member to reach 100 tokens. Default play mode is with AI Soldiers "Off"
If both members agree AI Soldiers may be turned "On", this activates Hero / Villain mode. Note that the Emperor has a very powerful Health Regen Ability. As with all Member vs Member PVP, proper Telegram challenges are required. Members IDs (Origin/PSN/Xbox Live) must be listed on their Dossier. Must be playing with at least one other DJB member to qualify. Matches without screenshots will not have CFs awarded. A screenshot of the summary screen shown at match completion is required. Matches without screenshots will not have CEs awarded. A screenshot of the summary screen shown at match completion is required. Note: You must register at least one kill or a score to qualify for clusters. This is the main way to prove you actually played. At least two members in the group must have DJB pins to qualify for CFs and CEs. A member has a "Daily CE and CF Cap" where they can earn up to 30 CEs for playing PvE events and 30 CFs for playing PvO events Destiny in each day. If greater than 30 CEs and/or 30 CFs are earned the excess in queue will carry over to the next day of the week. The exception is midnight between Thursday and Friday. All Clusters in queue are reset on this day. Matches without screenshots will not have Clusters awarded. Screenshots can be from the Destiny Tracker site, or from the mission complete screens. For Strikes and Nightfall Strikes, you must have taken part in the entire event to be eligible to earn CEs. For Crucible / Gambit events, members may earn CFs for joining mid-match, provided they have at least one enemy kill on the event summary screen. Example (Strike): Member joins a fireteam of two DB members near the end of a Strike. Only the original two members are eligible to earn earn CEs for this event. Members may only earn CEs for all encounters played or full clears completed. That means that each member is allowed to earn rewards from individual raid encounters, or from completing a full raid. Select the correct modifier in the gaming submission portal when submitting. Raids do not have be fully cleared to count for CEs. A partial clear will earn CEs, however you may not submit a full clear for a raid if you don not play all encounters in that raid. If you change groups mid way, you may not submit the team for a full raid. For the two Leviathan Raid Lairs (Eater of Worlds and Spire of Stars), a full clear consists of three encounters. Do not submit "Full Clear" for those two encounters. Clan Information: Dark Jedi Brotherhood [DJB], may request to join through Bungie Clan Webpage. 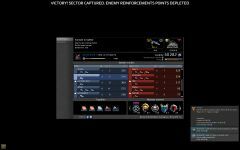 Members IDs (Battle.net) must be listed on their Dossier. 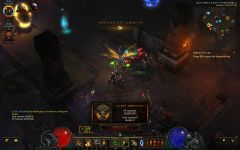 One other DJB member is required to earn Clusters of Earth in Diablo 3. These are earned by completing Rifts and Greater Rifts. 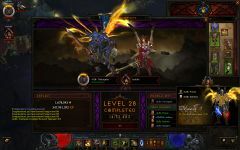 A member has a "Daily Cap" where they can earn up to 30 CE's for playing Diablo 3 in each day. If greater than 30 CEs are earned the excess in queue will carry over to the next day of the week. The exception is midnight between Thursday and Friday. All CEs in queue are reset on this day. At least two members in the group must have DJB Pins to qualify for CEs. Since this is a co-op game screenshots are required to earn CEs. Matches without screenshots will not have CEs rewarded. All activity must be submitted through the Gaming Portal. To qualify for CEs the highest level character in a group may not be more than 10 Character Levels above the lowest level character. This is applicable to Character Levels only, Paragon Levels do not apply. Example: Level 60 and Level 70 grouped is acceptable to earn CEs. Level 59 and Level 70 grouped would not earn CEs. Clan information: Dark Brotherhood [DJB]. Request invite in game, not managed by FIST staff. Match host will be decided prior to the start of the match via the DB Gaming Telegram channel. Settings will be determined by both participants prior to the start of the match. If you wish to change settings in between matches, both participants MUST agree to it. No Super Weapons or Heroes. Games set to Destroy Space Station. You cannot rush your opponent until after 5 minutes of the game has passed, this can also be allowed prior to start of the match, but both parties forfeit the right to any complaints regarding the outcome of the match. If settings cannot be agreed upon, the participants will each get their choice of one game in their style. All details must be agreed on previously before match begins. The group must contain at least two members of the DJB to qualify for Clusters. A member has a "Daily CF Cap" where they can earn up to 30 CEs (PvE) and 30 CFs (PvO) for playing Heroes of the Storm in each day. If greater than 30 CEs and CFs are earned the excess in queue will carry over to the next day of the week. The exception is midnight between Thursday and Friday. All clusters in queue are reset on this day. Matches without screenshots will not have clusters awarded. 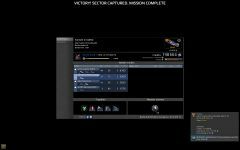 Screenshots must be of completed Mission summary screen. For 1v1 matches, members may play on whatever map they want unless a competition requires a specific map use (generally done during DB-wide events like GJWs and Vendettas), and may fill out their team in whatever way they want. If you can’t agree on maps or servers, default to the RoC for how to handle that. If you still can’t come to an agreement, the Fist or P:Fist will arbitrate for you. Once the match has concluded and when the MVP (voting) screen comes up, press the TAB key to bring up the stats screen. This is the screenshot you will submit for CE’s. For it shows what level AI was fought (Beginner/Recruit; Adept; Veteran or Elite). If you do not hit tab during the MVP screen you will not capture the correct stat screen. It will not have Recruit/Adept/Veteran or Elite by AI. This is an invalid screenshot and will be rejected. Hearthstone Matches will be played via your Battlenet profile - either through the PC App or Mobile App. Your Battlenet ID must be listed on your dossier. Classic decks are the default. If members cannot agree on the type of deck used, both will use classic decks. When choosing to play with “Classic” decks (the original pre-designed decks within Hearthstone for each Class) you will not make any deviations to the decks and play only the original design. If you do not have a Classic deck built, it may be automatically created in the deck creation option in your collection. Note: When you first start: You will not have access to all of the available cards for the classic decks - you will gain access to more as you level the characters by playing them. When choosing to play “Custom” decks, players are free to design and build their own decks and play against one another (Note: not recommended for new players). Note: “Wild” decks must be agreed upon by both parties in a custom match. No alterations to decks are permitted in between rounds. You may select a different deck/class, but no additional cards may be added or removed once the match has begun. All official DB competitions utilizing these platforms require the use of an official DB server (an updated list of which can be found on the Gaming Servers wiki page). If no official DB servers are found online players may, through mutual agreement, play on another server. By doing so, they also forfeit the right to any complaints regarding the outcome of the match due abuse/server statistics/mods/etc. If settings cannot be agreed upon, the participants will each choose either Force setting or Weapons setting. You cannot use a bacta tank at any time during a duel. You cannot attack a player who has been knocked to the ground in a duel, whether by kick or saberlock loss. Members IDs (PSN/Xbox/etc) must be listed on their Dossier in order to qualify for CFs. The group must contain at least two members of the DJB to qualify for CFs. A member has a "Daily CF Cap" where they can earn up to 30 CF's for playing Overwatch in each day. If greater than 30 CFs are earned the excess in queue will carry over to the next day of the week. The exception is midnight between Thursday and Friday. All CFs in queue are reset on this day. Matches without screenshots will not have CFs awarded. Screenshots must be of completed Mission summary screen. Members IDs (Character Names) must be listed on their Dossier. A raid is Full Cleared when all boss encounters in it have been completed. If a raid is Partially Cleared (first two bosses of the encounter completed) members will earn 40% of the CEs listed above. If a raid is Mostly Cleared (all but the final boss encounter completed) members will earn 70% of the CEs listed above. Operations where one or no bosses are downed, earn no CE's. Xenoanalyst II and Golden Fury are considered World Bosses. Clan Information: not managed by FIST staff. Characters are to be no higher than Level 15. Empire Character Classes are recommended for ease of meeting up with others to Duel. At Level 15 you may not have access to your Starship yet. It is recommended you create a Character solely for the Casual Duel Bracket if you wish to participate, upon hitting Level 15 stop exploring or playing that character other than to Duel. No Ear, Implant, or Relic slot items are to be equipped. Augment slots are allowed to be added to equipment. Orange Gear may be used in all other slots. Head, Chest, Glove, Leg, Boot Orange Armor can be purchased from the Social Items Vendor in the Cantina on Dromund Kas (or Coruscant for Republic faction) for less than 2,000 Credits for the full set. Wrist and Waist Orange Armor can be purchased from the Auction House or members of the DJB Guild may be able to craft some for you. Weapons are provided to each character when they finish their class quest on their starting planet, if an Advanced Class is selected that can Dual Wield a second weapon is provided by their trainer at that time. No Stims, Adrenals, or Medpacks are to be used. If members wish to use Class Buffs they should Buff each other to ensure a level playing field. Note: This is a separate platform from the Level 15 Bracket. Those who play against one person in Open Level Duels and then refuse against another will be found as match dodging. There are no gear restrictions. If character’s dueling are at different levels and they both agree to it the higher level player may remove pieces of gear to handicap themselves. However, this is not required. Use of Class Buffs, Stims, Adrenals, or Medpacks should be agreed upon prior to the start of the duel. Only 1v1 Guild PvP events are acceptable for submission. Due to the limited size of the DJB Guild on Force Arena, any members that have not played in 30 days will be removed to make room for new members. If you are removed for this reason, you may request to be re-added 24 hours post-removal. At all times, the Fist and the P:Fist will be members of the guild. Only the Fist or P:Fist can serve as Guild Captain. If for some reason a member finds themselves as guild captain and they are neither Fist or P:Fist, that member will immediately return guild leadership to one of those two individuals. Guild Information: Name is as DJB. The Fist and P:Fist will screen all guild applicants (FA name must be added to dossier). DJB membership is a requirement to be part of the FA Guild. Non-DJB members will be removed. Max capacity is 50 members. If the guild is at max those that have not logged in the longest time will be removed. You must play against another DJB Member to qualify for CFs. Match host will be decided in the DB Gaming Lounge on Telegram prior to the start of the match. An updated list of servers can be found on the Gaming Servers wiki page. Play on these servers, as other hosted matches are not accepted. In a match, you cannot load up on items, ammo, grenades, or weapons. If low on ammo, you can find where your weapon’s ammo cache is. You cannot attack an opponent directly on match start or respawn during 1v1 matches. You cannot use a bacta tank at any time during a duel, unless both players agree before game start. Note: You can pick up a Bacta pack after a duel, if you are injured. If settings cannot be agreed upon, the participants will each get their choice of one game in their style of weapon picks. All details must be agreed on previously before match begins. Members IDs (Steam ID) must be listed on their Dossier. Clusters are able to be earned by completing Star Conflict Mission Matches (PvE), PvP and PvO Matches with a total of two (2) or more DJB members together in the Match. Star Conflict screenshots do not always show all participating members in a single screenshot. In order for a single submission to count, all members receiving credit for the event must have a screenshot showing their name. To simplify this process, when submitting multi-screen submissions for a single match, label them as 1a.jpg, 1b.jpg, 1c.jpg, and so on. If all members that played are visible on the screen, only one screenshot is required. 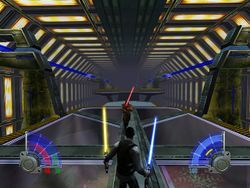 Example: Three DB members play a round of Star Conflict. Two members place high enough to display on a screenshot, with the third member's name requiring scroll-down. For this match, two screenshots must be submitted. The game must be updated to the current version available. If you wish to change settings in between matches, both participants MUST agree to the change. To find other DJB Members who are playing Stacraft 2 refer to this Forum thread and add them to your Friend's list. Members IDs (Battlenet) must be listed on their Dossier in order to Qualify for CEs. A member has a "Daily CE Cap" where they can earn up to 30 CE's for playing Starcraft 2 each day. If greater than 30 CFs are earned the excess in queue will carry over to the next day of the week. The exception is midnight between Thursday and Friday. All CEs in queue are reset on this day. Members must submit a screenshot of the post game Stats screen. Members ID’s must be listed on their dossiers in order to qualify for CE’s. A member has a “Daily CE Cap” where they can earn up to 30 CE’s for playing Warframe in each day. If greater than 30 CE’s are earned the excess in que will carry over to the next day of the week. The exception is midnight between Thursday and Friday. All CE’s in queue are reset on this day. The group must contain at least two member of the DJB. Miscellaneous Missions are any mission other than Defense. Members may not mix Misc. and Defense missions within the same submission. Screenshots submitted must be the mission summary screen after completing the mission. All participants must register at least one kill on a screenshot to qualify for CEs.